Aspen is my favorite year-round resort area. 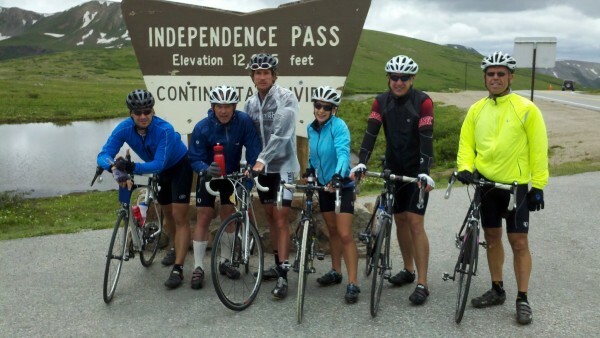 During the winter or summer, Aspen is the perfect town to visit and vacation. Most people come out for skiing but they move back for the summers. Clearly stated, Aspen is the finest town in the world because it offers the most complete physical, spiritual and mental experiences available anywhere. Aspen, a small mountain town at nearly 8,000 feet weather can sometimes be hard to predict. The key to being comfortable anytime of year in the beautiful outdoor playground, is versatility. the 3-mile trail is filled with nature lovers and cardio fiends. Indeed, it’s not a trek for the faint of heart, especially we visiting flatlanders. 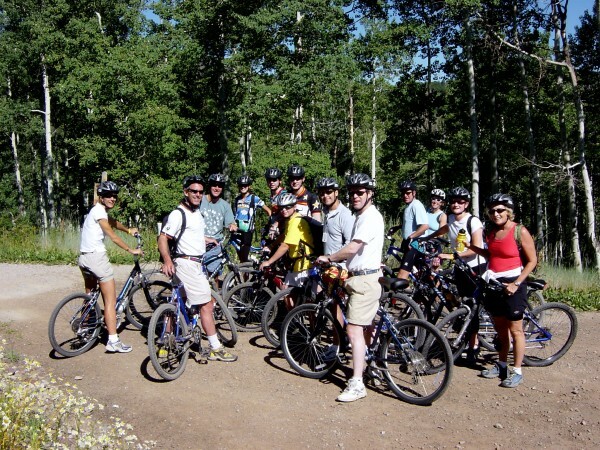 You’ll gain 2,000 feet of elevation as the trail inclines through aspen groves, across a giant boulder field, and up eight killer switchbacks. But the panoramic views along the way and pretty emerald-green lake at trail’s end are well worth the agony of “de feet. When you find Cathedral lake, your breath is taken away. We are blessed by Gods gift surrounded by all of His beauty. Electric Pass above. Bob T. on way to top and Brandy on top at about 13,800 feet Go Brandy. Below is Maroon Bells another wow. Lost Man: is often overlooked as a prime hiking area. 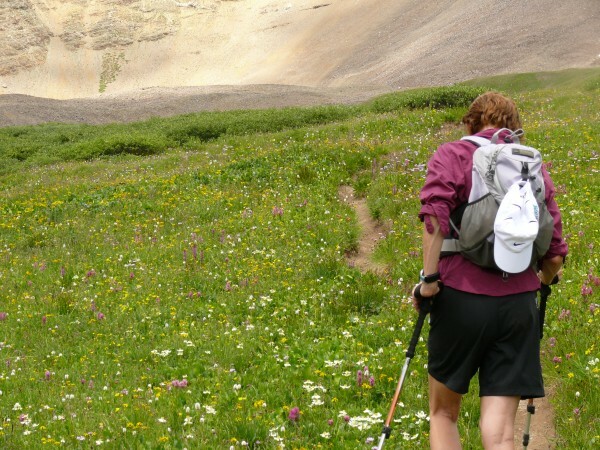 The hike described here follows Lost Man Creek for 5.5 miles to its source at Lost Man Lake, then climbs over Lost Man Pass and descends along the Roaring Fork River to Roaring Fork Trailhead. Most of the hike is through sub-alpine meadowland just below timberline. The views across the open valleys are terrific-especially in midsummer when the wildflowers are in bloom. The scenery in the upper reaches of the Lost Man Creek Valley is especially dramatic. The valley climbs eastward to a point just below the ridge of the Continental Divide then turns abruptly south into a small bowl wherein lies Lost Man Lake. By the time you reach the lake you will be well above timberline, and the rocky shore that surrounds the small lake is typical alpine tundra. 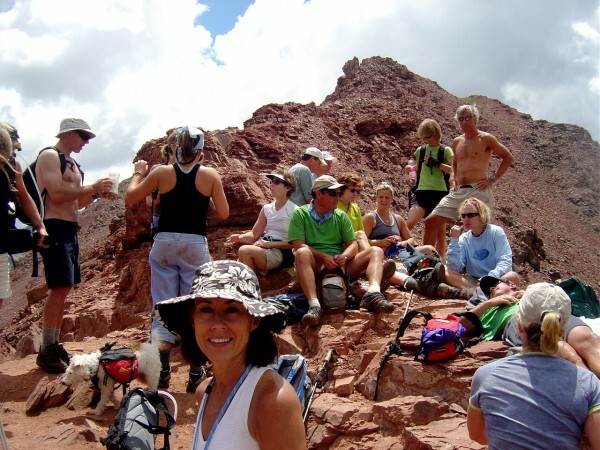 When you reach the top of the ridge you will be in Lost Man Pass (12,820 ft.), the highest point on the hike. Castle Peak: Standing 14,265 above sea level, Castle Peak is one of Colorado’s famous 14ers and the highest point in the Elk Range. This is LB on top of Castle Peak at 14,300+. Despite its lofty presence, a hike to the top of Castle Peak is a non-technical but strenuous trek that is best made in summer or early autumn.Get an early start to avoid storms! The round trip mileage for a trip to Castle’s apex is roughly 12 miles if you start from the passenger car trailhead and 7 miles if you drive farther up the rugged 4×4 road. Most reasonably fit people can reach the top; just make sure to take a few days to adjust to the altitude if you are coming from out of town. Hike to Crested Butte is about 8 hours depending on the way. We cross streams, Mt. passes and top out at about 13,500 feet. Very cool adventure. 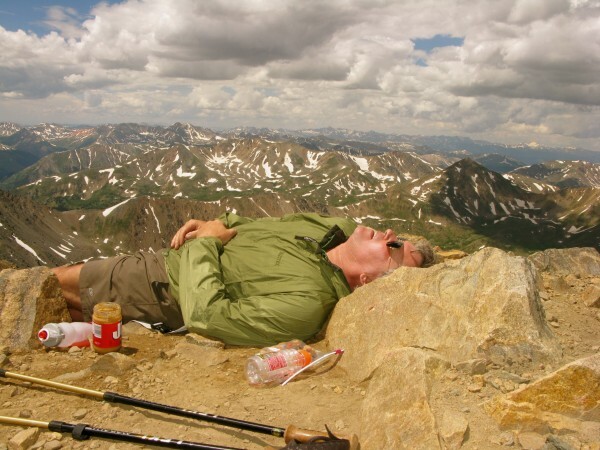 Mt Elbert is the highest Mountain in colorado and the second highest Mt. in the Continental United States. It is about 14.400 feet and is a nice climb of about 6 hours in length. Look at the flowers Arden is going through on the way to the summit!! 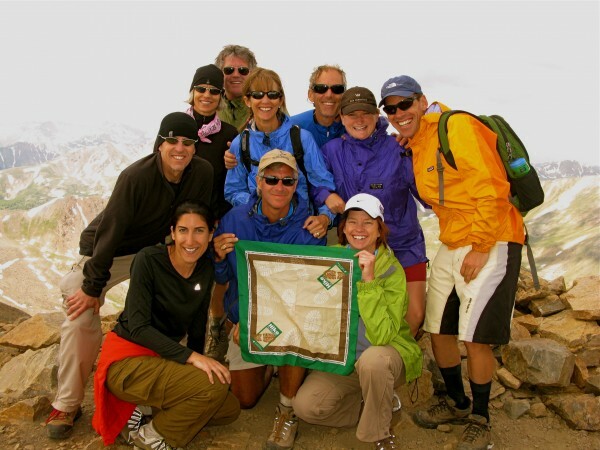 Mt Elbert summit 14,400 with our group ofSEAL team members – wow they rock. Dr. Bob, totally smoked after summit but he made it and also Killimanjaro!! 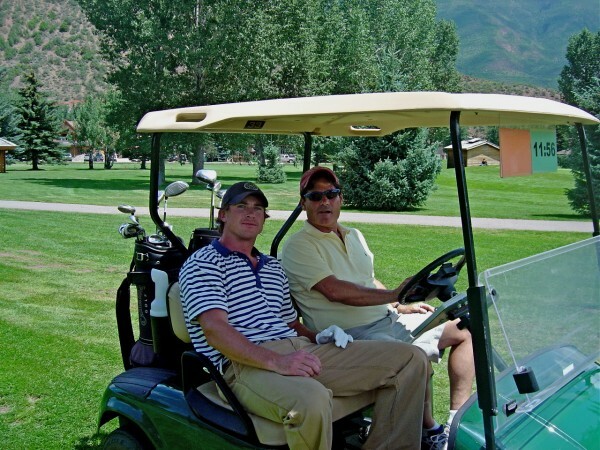 Golf, Tennis, = The Aspen Golf Club, ranked as the #21 Best U.S. Municipal Golf Course by Golf-week Magazine, provides a challenging 18-hole course set in the heart of the Rockies, just minutes from downtown Aspen. This 7,156-yard championship course is complete with a PGA award-winning pro shop, lessons, driving range, chipping and putting greens, cart rental and full-service locker facilities. 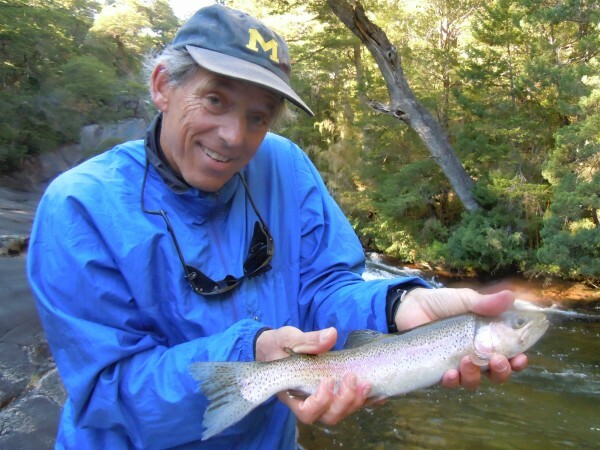 Fly Fishing, Floats are an exciting way to spend the day fishing. They can cover the fast “white water” stretch on the upper Roaring Fork River, a truly unforgettable float trip or you can take a more leisurely float on a lower stretch of the Roaring Fork or Colorado River.